Why do my Toyota brakes squeak? Why is there a grinding sound from the wheels on my Toyota? Why does my Toyota brake light stay on? Why does the brake pedal shake on my Toyota? Genuine Toyota brake parts are specifically engineered for your Toyota vehicle and manufactured with the same care and quality as the original equipment. 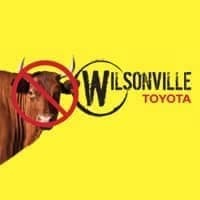 Wilsonville Toyota uses Genuine Toyota brake parts including calipers, rotors, shoes, pads and drums when we perform brake service on your Toyota or Scion. If you’re experiencing any concerns about your Toyota’s brake system, schedule your brake inspection here at Wilsonville Toyota today. More details and other service coupons can be found here.